It was last October when we posted something about having your own “rules” when it comes to Facebook. But truly it is your own rules when it comes to any social media platform because it comes down to engaging and sharing. Alan’s post last week about which platforms to choose for your business is right on when it explains two things 1) Choose one that works for your business that shows it off in the best light. 2) Choose one that you may be familiar with using. I would add a third one: What and where is my target looking for information or just looking – period. If you know your customer, existing or otherwise is lurking around in a certain social network – GO THERE. USE IT. There are thousands of social media platforms out there. Even some of your “old favorites” that weren’t really traditionally set up as social media platforms now use some of the sharing tools, etc. that social networkers EXPECT these days. One network any professional can use is LinkedIn. This is what this post is going to talk about specifically. LinkedIn is not necessarily the place to post your kids photos or those of your vacation. LinkedIn is powerful but let’s keep it simple. Let’s narrow it down to 3 top things and 3 things that you can do with the FREE Account. 1) Connect with business people that you know. 2) Cultivate your connections to see who they know that you may need or want to know. 3) Participate in Forums where you can demonstrate your expertise or find new connections. Like Facebook it may be a good idea to come up with your own rules for LinkedIn. These can be your own personal rules that you need not share with anyone else, it is up to you. First you need to remove the “smoke and mirrors” that can sometimes cloud the social networking world and put some reality to it. Let’s look at the first two rules. Connect with business people you know and we should add, “LIKE.” Perhaps you should think about someone looking at your connections and contact you to ask you for a reference for one of them. Or worse, they don’t contact you and they have a bad experience with that company/person. What then, do they think of you and your network? With social networking it is virtual, there is NO body language, no voice inflection. If you are at a Chamber of Commerce function and a couple of your competitors are there or some business that you have had a bad experience with, someone can ask you in person what you think of a businesses service. Just because you are in the same room doesn’t mean you would do business with them. The same goes for social networking. Just because you are both on LinkedIn doesn’t mean you must connect with them. Once connected, that person knows who you are connected with – LinkedIn doesn’t have lists that you can shield from one group or another. In a way, you are leaving your Rollodex WIDE open. (I am dating myself using that term I know.) Reason #2 is about cultivating connections of connections and that is what connecting with the intial person in the first place accomplishes. So think about how you might decide who you connect with and who you choose not to connect with. You may not get the chance to intervene with that “very important client” that gets stiffed by someone you “kinda know” on LinkedIn or maybe not know at all. Lots of people network in the forums that cover topics that they are interested in or qualified in participating in. It is a good way to learn about who knows about a subject and who doesn’t. It is a good way if you are looking to change jobs to get your name out there as someone that has expertise or connect with someone that works in a company that you may want to work for. Rules are boring I know. But the way LinkedIn has changed their homepage (actually MY homepage) there are tons of people that are pictured as suggestions of who I should connect with. It is easy for me to decide who I ask and who I accept, these days I seem to get a handful of requests each day. I am sure others do too and maybe you do all ready. As we plug our way through the social media jungle LinkedIn is just one of the tools along the way, it is up to US to use IT, not IT to use US. Kelly's been known as the Marketing Maven since before the term was hip. (That means she's old.) As a natural Community Builder, she loves to get people together, bring resources to the table and solve problems! 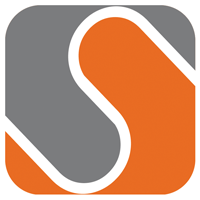 We're Sephone, a Maine-based web and mobile development company. We offer tools and services to help your business run better. An error occurred while loading this page. A site administrator has been notified, and we're currently working to resolve the issue. We're sorry for any inconvenience. Please try again later.